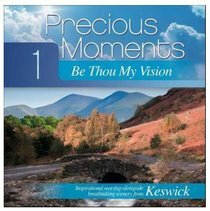 This album captures the immensely powerful worship that is unique to Keswick, and a major factor in the success of this long-running Bible Convention. Songs include What a Friend We Have in Jesus, Be Thou My Vision, The Power of Your Love and How Deep the Father's Love. About "Precious Moments #01: Be Thou My Vision"